Israeli officials say UN General Assembly could pass resolution renouncing Trump’s recognition of Jerusalem this week. While an attempt by Egypt to push through a resolution at the United Nations Security Council rebuking the Trump administration over its recent recognition of Jerusalem as Israel’s capital failed on Monday, the Palestinian Authority and allied Arab states appear poised to launch a new bid at the UN against the Jewish state and America’s recent recognition of its capital city. On Monday, the US delegation to the UN used its veto power to shoot down a proposed Security Council measure rejecting Jerusalem as Israel’s capital, with a thinly-veiled rebuke of the United States for President Trump’s December 6th declaration recognizing the city as Israel’s capital. The council’s other four permanent voting members – China, the UK, Russia, and France – all voted in favor of the measure, as did the 10 non-permanent members. The proposal was drafted by the Egyptian delegation. Turkey blasted the veto, calling the move the “most concrete indication of the illegitimacy” of US policy vis-à-vis Israel. The Palestinian Authority, however, appears poised to introduce a similar measure in the UN General Assembly, where the US lacks veto power. 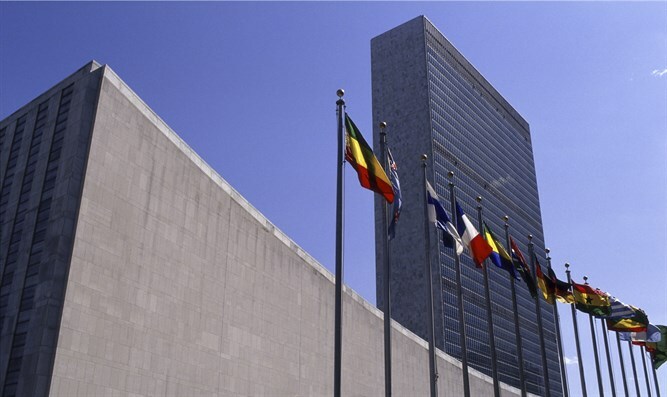 On Tuesday, Channel 10 reported that Israeli officials believe the UN General Assembly will vote on the measure soon, perhaps as early as this Thursday. Israeli officials believe the measure is likely to win the backing of more than 100 member states in the 193-member body. While the resolution could pass, however, unlike Security Council actions, any motion passed by the General Assembly would be largely symbolic, as the body’s resolutions constitute recommendations. Iran tests anti-air missile system after Trump's warnings Iran tests 'Hunter' missiles, designed to shoot down aircraft and ballistic missiles after President Trump puts regime 'on notice'.